Once a sick building has been investigated various measures must be taken to ensure the cause(s) are removed to make it safe for the occupants. ﻿Poor sanitary and cleaning practices also contribute to a building becoming contaminated with bioaerosols. In a high occupancy building for example, germs from bathrooms can easily be spread to the rest of the building if they are not cleaned and disinfected both effectively and regularly. People not washing their hands after using the bathroom can also be a big problem. Stress - is another important consideration in an office building in particular. Stress can be caused by work pressures such as deadlines but also by all of the other factors we've discussed here that often relate to a building's design. Stress is a leading cause of absenteeism as it can result not only in psychological distress but also many physical ailments as well. Out at the Fitness Center, you may be picking up more than your average hand weight while exercising. Germs and viruses are right at your fingertips. They cannot be seen, but they are there. More needs to be done by users at fitness Center's to ensure that the machines and exercise equipment get properly cleaned after their intended use. According to Fitness Magazine, norovirus can survive for a month on the surface of exercise machines, which can cause stomach pain, diarrhea and vomiting. Many foot infections are caught in the showers of locker rooms at the gym mostly if the proper sandals aren’t worn. Microbes such as Methicillin-resistant Staphylococcus aureus, also known as MRSA, is also a common bacteria found in gym showers and on fitness equipment. The hot spots for germs at the gym are free weights, weight machines and exercise balls. Students who also use exercise mats for yoga poses or simply to stretch before a hard cardio workout could be lying in a slew of microbes that can cause skin infections, athlete’s foot and hepatitis A. On multiple accounts, I have witnessed people at the gym who are working out really hard, whether it is on an elliptical or a treadmill. They are sweating every last drop onto the machine they’re using, only to finish their workout and casually walk away without even wiping it down. My semi-germaphobe instincts kick in, and I suddenly want to hunt that person down and tell them to wipe down their machine. The more people who use the equipment, the more germs it likely has on it. If one person doesn’t wipe down their machine, and the person after them barely wipes it down, those germs live on that machine and grow. In addition, a study published in the Clinical Journal of Sports Medicine found that 63 percent of machines that had been disinfected still had traces of norvirus, which causes the common cold, as well as staph, fungi and yeast on gym bike seats. By simply washing your hands before and after you work out, as well as wiping down your machine thoroughly with an anti-bacterial spray and cloth – which the fitness center provides – you’re stopping nasty germs and viruses from spreading. Furthermore, it shouldn't be the job of the URC Fitness instructors or workers to have to clean up the machines after they’re used. The same goes with janitors: They are not there to clean up after you; they are there to assist you. Germs even live on the water bottle you use at the gym. According to Fitness Magazine, when you take a sip of water during your workout, germs move into your bottle and quickly reproduce from the rim. Thousands of bacteria can reside at the bottom. Using the water bottle after just a few days of not washing it can be the equivalent of drinking from a public swimming pool. Thoroughly cleaning your water bottle with soap and water after a gym session is vital. Doing these simple tasks at the gym will make the fitness center a cleaner and happier place. The more people who clean up after themselves at the gym, the less likely germs will be there. And fewer people, like me, won’t be grossed out. 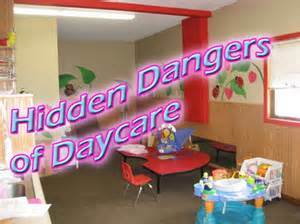 THINK YOUR CHILDREN ARE SAFE AT DAYCARE'S ? THINK AGAIN ! MRSA is a type of bacteria that causes a variety of infections that belong to the Staphylococcus family. In simple terms it is a staph infection that has morphed over time making it resistant to the most used antibiotics. Most people who contract MRSA do so in the hospital. This is because people in the hospital have weak immune systems from being sick and or they have open wounds which allow the bacteria to get in their body. It is also a problem in other confined setting such as prisons, daycare centers, nurseries and also in athletes who share locker rooms and gyms. MRSA is highly contagious and can cause severe health problems and even death if not treated in time. Although the bacteria are resistant to most antibiotics it does respond to vancomycin and some other antibiotics. Germs that cause common illnesses, including ear infections and strep throat, can linger on surfaces such as cribs, children’s toys and books for hours after contamination — even after the objects are well cleaned — according to a small new study. Researchers suggested that additional steps may need to be taken to protect children and adults from Streptococcus pneumoniae and Streptococcus pyogenes, particularly in schools, daycare centers and hospitals. “These findings should make us more cautious about bacteria in the environment since they change our ideas about how these particular bacteria are spread,” study senior author Anders Hakansson, of the University at Buffalo, said in a university news release. “This is the first paper to directly investigate that these bacteria can survive well on various surfaces, including hands, and potentially spread between individuals,” said Hakansson, an assistant professor of microbiology and immunology in UB’s School of Medicine and Biomedical Sciences. Last year, University at Buffalo researchers found that some bacteria may remain on surfaces for extended periods of time because they form “biofilms” when infecting human tissues. These highly sophisticated biofilms are more resilient than other types of bacteria. In their latest study, published Dec. 26 in Infection and Immunity, the researchers found that in the daycare center they examined, four of five stuffed toys were contaminated with S. pneumoniae, a leading cause of ear infections in children. The germ can also lead to dangerous respiratory tract infections in children and older people, according to the news release. Meanwhile, several surfaces, including cribs that had been cleaned, were contaminated with S. pyogenes, a bacteria that commonly causes strep throat and skin infections in schoolchildren and can cause serious infection in adults. The testing took place in the morning before the facility opened so hours had passed since anyone had been inside, the researchers noted. Although previous studies have shown that bacteria on surfaces and objects die quickly, the investigators pointed out that those findings were based on cultures grown in labs. In the latest study, month-old biofilms of S. pneumoniae and S. pyogenes from contaminated surfaces were quick to infect mice. The researchers also found that biofilms survived for hours on people’s hands and lingered for hours on books and soft and hard toys and surfaces.